NRC Semi Final: Melbourne Rising Fall, Perth Spirit Soar. 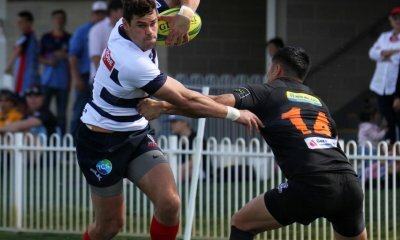 NRC Semi Final 2: Melbourne Rising Fall, Perth Spirit Soar. 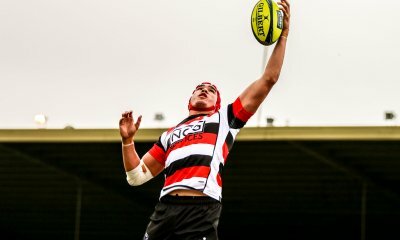 Melbourne came into this match unbeaten, winning all their NRC matches easily. Perth were not overawed though and stayed steeled in their resolve to topple their more fancied hosts. Melbourne have been unbeaten all season while Perth did just enough to make the final four, despite losing more than they have won. 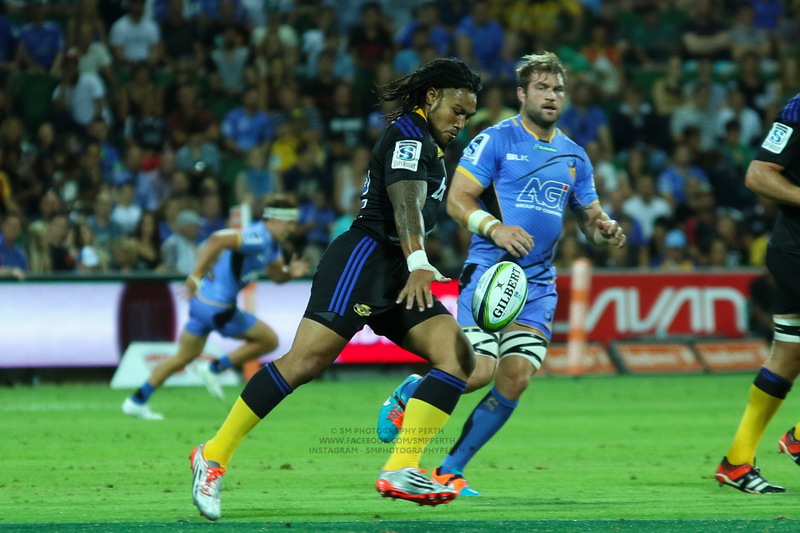 Perth however bolstered their side with plenty of Super Rugby experienced players. Conversely the Rising lost a few Super players, three to the spring tour Wallaby squad. Melbourne were the bookies favourites paying only $1.16 compared to the Spirit’s $5. But Perth were reading from a different script. Melbourne came out of the blocks full of running. Jack Debreczini went close twice but the Rising couldn’t turn possession and territory into points. The Rising chose the scrum option 8 metres out and in something of a surprise got shunted off the ball, Perth getting the tight head penalty and were able to clear. Perth were defending well but couldn’t get the ball or the opportunity to play in their attacking half. By ten minutes into the contest Melbourne had 87% possession and it wasn’t until the sixteenth minute that the ball was in Perth’s attacking twenty two. To make things harder, Melbourne’s scrum was coming good and chalking up their own tighthead penalty. With 23 minutes gone, despite advantages in both possession and territory Melbourne still could not get the ball down over the line. When Perth finally got their chance off a lineout on the edge of the twenty two, they made the most of it. Haylett-Petty showed great awareness and skill to grubber behind the Melbourne defense and with no one close to stopping him Marcel Brache collected and grounded the ball in the one action. It seemed to take a long time for the first try but there was no such waiting for the second. It was Brache again, scooping up a loose pass from Melbourne centre Naivulu. Showing great pace, Brache dotted down under the posts one minute after his first effort. Perth were now up thirteen to nil, the Rising had been utterly dominant but failed to cash in, now found themselves two tries down. Their next visit into the Perth’s territory had to result in points and it did. Melbourne secured their lineout and Mitch Inman collected a simple pass from Jack Debreczeni and with pace and aggression ran straight through a seemingly confused Perth defence twenty meters to score. The score was now 13-8, with twelve minutes to go in the half. Melbourne continued to improve their scrum dominance, but despite this didn’t score again. Perth had enough ball now but didn’t score either so the score remained 13-8 at the break. Perth began the second half in the best way possible with a pick and drive try to tight head Oliver Hoskins. With only two minutes gone they had destroyed any notion that their first half performance was a fluke. Perth were now again up by thirteen, the score 21-8 with 42min gone. Melbourne could see their season on the line but couldn’t land a killer blow in attack, Timani went close but was ruled to have not released the ball when he was initially tackled and Perth were off the hook. Jonah Placid had no such trouble though, the Melbourne full back took it upon himself to simply beat half of Perth’s defence on his way to a great solo try from a kick return. With fifty two minutes gone, Melbourne were back within five and back full of belief. Perth weren’t having any of that though. After a few kicking duels, they put ten phases together, and sucked in the defence to force an overlap, this allowed outside centre Ammon Matuauto to dive over wide on the right. Zack Holmes was kicking superbly and added the extras. Perth again out to a thirteen point buffer now with twenty minutes left. Perth weren’t going to wait for Melbourne to try and chase them down though. They were hungry for more meat themselves. Only six minutes since their last try Perth captain Sam Wykes went over from close range and with Holme’s deft boot adding the conversion, Melbourne found themselves down by twenty one (16-37). 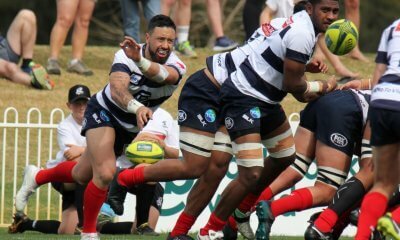 With under fifteen minutes to go Mitch Inman took a quick tap on half way making twenty meters, Lopeti Timani added his bulk to the cause and Melbourne were in a position to strike back. 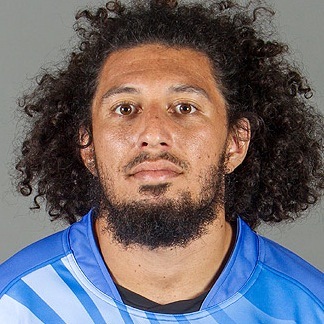 The try scored by Sefanaia Naivalu was well set up by Lloyd Johansson with a classic draw and dish. Debreczeni nailed the crucial conversion and the margin was back to thirteen, with twelve minutes to go. Melbourne were playing with real hope and endeavour, but Perth were matching their intensity. Wykes made a big play trapping the ball in a maul Melbourne had worked hard to push up the field. Melbourne looked to be closing the gap when Inman received a gilt edged chance, Naivalu put him into space after punching through the line. 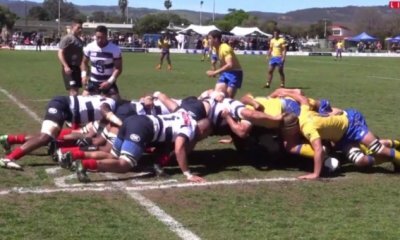 Perth had the defensive ability to force a knock on from the big inside centre and were awarded a scrum. Inman was to make up for his mistake though with a charge down which gave Melbourne a five metre scrum. Melbourne worked hard and Perth’s Hardwick went for some cynical ruck play to ease the pressure. The ref was quick to pull out the yellow card and from the resulting scrum Debreczeni strolled over to score next to the posts. Melbourne should have been back to within five but Debreceni missed the simple conversion in the rush to get the restart. With only five minutes to go Melbourne needed a converted try to tie things up and head into overtime, they would also have a man advantage. Perth however managed to get the ball and the territory and through some more great team based phase play, Matuauto managed to score his second try icing the game. Holmes converted as the final siren sounded, Perth winning through to the grand final 29-45. Despite nearly all the ball and possession in the first twenty minutes Perth’s defence held strong. 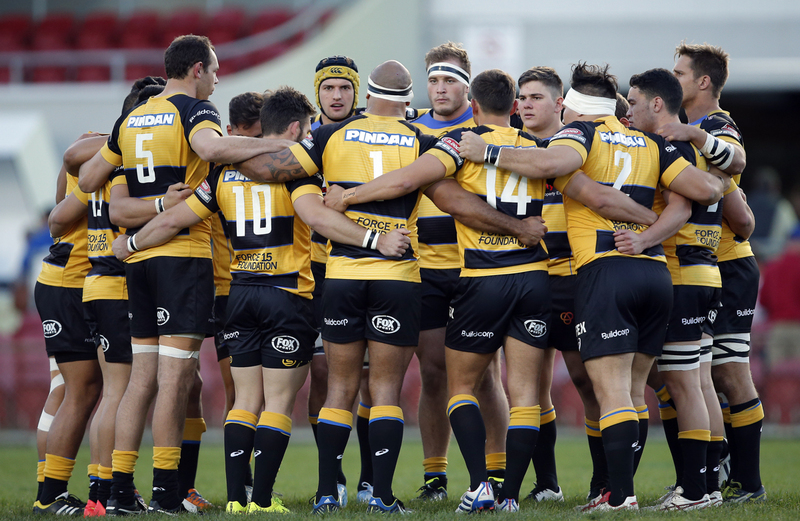 The Spirit then scored two tries in quick succession to really take the momentum away from the hosts. Sam Wykes. The Perth captain led by example, scoring a try and defending well. Zack Holmes kicking meant Melbourne struggled to get close on the scoreboard. Both Marcel Brache and Ammon Matuauto finished well, both being in the right place. Jonah Placid’s try was something special, amazing footwork. I’m not sure anyone saw that coming. I certainly didn’t. But f*** me, the Spirit might just be premiership favourites now. Yeah but Perth only won two of four games at home and those two games were against the bottom two sides. You can’t blame the radar when you’re flying that low. Remember one of those home game loses was a game played in Adelaide by the b team and the other was a close lose to bris City. I thought it might be closer than all the pundits were saying, given that Melb had lost several key players to the Wallabies and the Spirit have been playing well with a good mix of Super players and club players. But still, as a Perth supporter I wouldn’t have put money on it. A very pleasant surprise. Can someone explain why I am currently sunburnt? There are 30000 seats in AAMI park, but the officials saw fit to herd us all into the one area of the ground that offered no shade? Sorry Pedro but one point here, the Force lost 4 players to Spring Tour so were more greatly effected than the Rising. The difference was like Upset Time pointed out, this was the first time that the Spirit played their strongest team for an away game. Previously they had given majority Club players the opportunity to tour and give their travel weary super players some family time. Given that every away game for the Spirit or Force is a 8.5hour round trip minimum it was a wise decision. But great article. And a great fast flowing game. I wonder who was more shocked? The overly based commentators, the Melbourne crowd of the Rising players? I think you missed the point of the comment about the Rising losing players to the EOYT – these were players who were available throughout the NRC rounds, unlike all the pre-existing Wallabies who were largely unavailable (if we’re counting the loss of players who were already regular Wallabies then there are a few teams other than Melbourne or Perth with a greater claim that they were robbed/deprived/whatever). Based on their regular squad, the Rising were undoubtedly most affected by the loss of players to the EOYT – but given that the Rising were deliberately using their strongest squad to allow some of the Rebels players to push for higher honours, they can hardly complain about the consequences of their success in that regard. Perth won and they deserved to on the day. I’m only commenting on a week to week basis. Compared to last week Melbourne were weakened and Perth strengthened. Jeez the buildup to Matuatuo’s try was pretty! It’s a miracle! Calling all Queenslanders lets pack out sacred Ballymore!! Phil Kearns’ ignorance is astounding. Wykes holds up a maul, it goes to ground, and he wants to know why Wykes isn’t penalized for holding onto the ball? Not to mention any time anything happened in the 2nd half, it was Perth “cynically” trying to kill time… what a joke of an announcer. Yeah. The crowd were crying murder as well, but people don’t seem to understand the laws. The ball never hit the ground, so it was never a ruck; absolutely no requirement to release the ball. Ref got it completely correct. Thank you. I was screaming at the TV trying to get Kearns to shut up and stop displaying his ignorance. Can someone explain why the charge down shortly afterwards ended as a 5m scrum to the Rising even though it crossed the try line off their hands??? What’s the bet brissie have to wear their away blue kit at home! I was at the game and there was only ca. 1700 people there. Pretty disappointing. They got more to some Thursday night games. Congratulations Pedro on getting to use the “Melbourne Rising Fall” headline. I was beginning to think I’d have to wait until next season. A boilover result on first look but on closer inspection it was unlikely that Melbourne’s regular season romp would continue unchallenged. Perth started with an extra 100 Super caps on the field for this one and turned up to play. The Rising may have still squeezed the win if they could’ve converted their scrum dominance into points but it was not to be. Thanks for the top write-up once again, Peter. Oh, and the crowd was 1,764. Yeah, but Perth’s scrum was decent. Pek Cowan competed well. But he was mainly going backwards while PAE was on. I don’t get as to why he doesn’t at least make an extended wallabies squad, is it his lack of fitness/work rate? You mean former Force man, Paul Alo-Emile? All joking aside, he’s going to be a good one. The only reason I can think of is that they don’t want to expose too many young props at once. But it certainly begs belief when you consider our lack of tight head depth. Mostly behind a lens, sometimes in front of a keyboard.